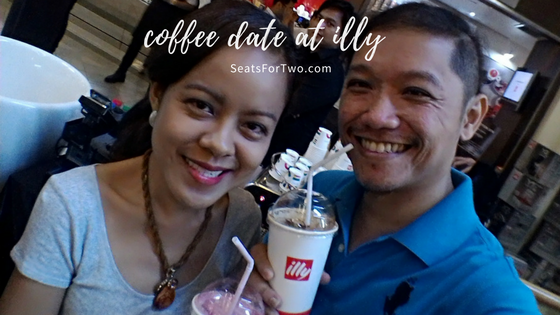 After a sumptuous lunch at Salvatore Cuomo in Uptown Parade of Bonifacio Global City, we went straight to Illy in Powerplant Mall Rockwell, Makati for some good coffee. Although we visit Powerplant Mall only occasionally, we love it’s ‘just-right‘ size for a small town mall that is almost complete with everything you need. 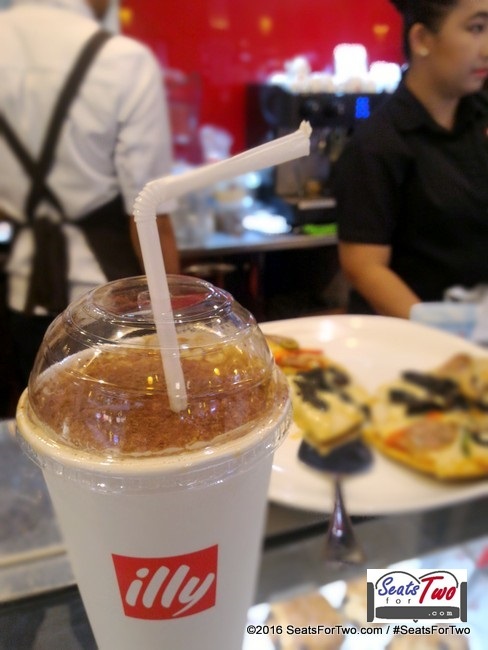 Upon reaching the coffee shop at the center of the 2nd floor, we tried some of Espressamente illy‘s sought after beverages: the Caffe Tiramisu and Frullati Smoothie Raspberry. We also got ourselves some tasty illy pastries and pizza. 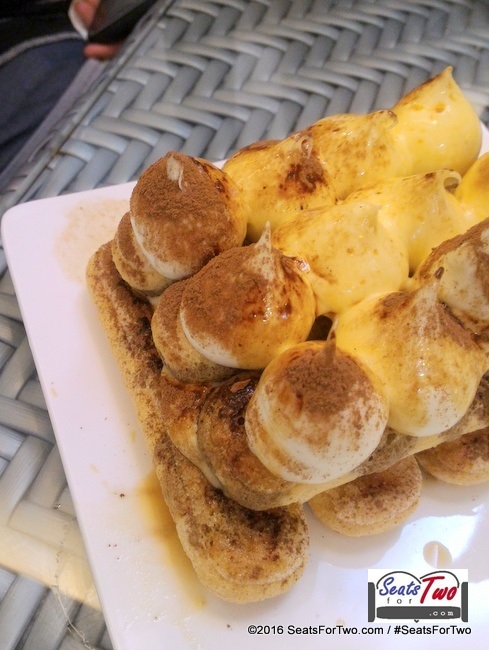 There were muffins in different variants and croissant as well. 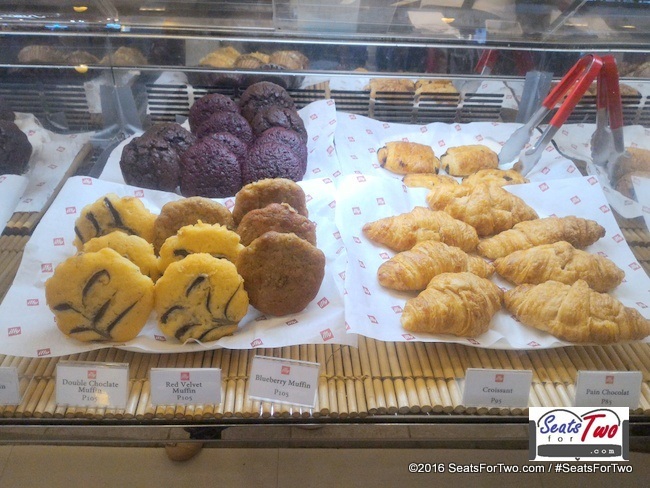 We never realized illy had a wide selection of food given the small space of their coffee shop in Rockwell. 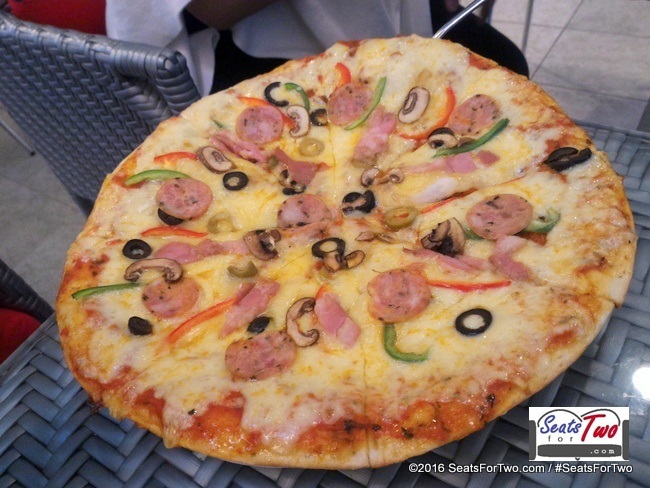 We forgot to take a photo of the Wild Mushroom Pizza though, which we highly recommend. Mrs. Seats For Two enjoyed her foamy and rich illy cappuccino which came with a serving of biscotti. The Pepperoni pizza and Tiramisu cake with espresso was a good pairing for our coffee as well. 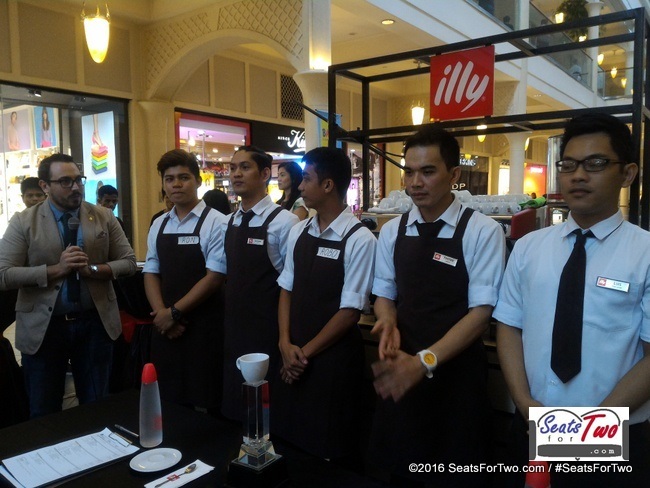 Our coffee date turned out to be quite entertaining as it coincided with an awesome gathering of illy’s Top 5 barista competing for the illy Caffe Barista Challenge 2016. 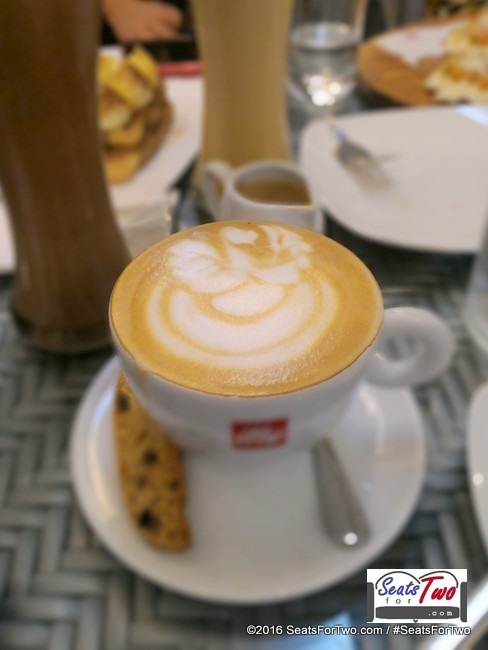 Just in case you are not too familiar with illy Caffè, they produce and market worldwide only one blend of high quality coffee which made of nine kinds of pure Arabica. Coming from South America, Central America, India, Africa, and China, its taste and aroma are aimed to be always the same in each cup of coffee around the world. In 2010 the company has created the Monoarabica line of products, and has started to sell three out of nine Arabicas: those from Brazil, Ethiopia, and Guatemala. Today, more than 6 million coffee cups are enjoyed every day worldwide, made with the illy blend from different channels – hotels, restaurants, caffès, and even at home and office. Illy coffee is sold in over 140 countries, in each of the five continents, and it is available in more than a hundred thousand bars. 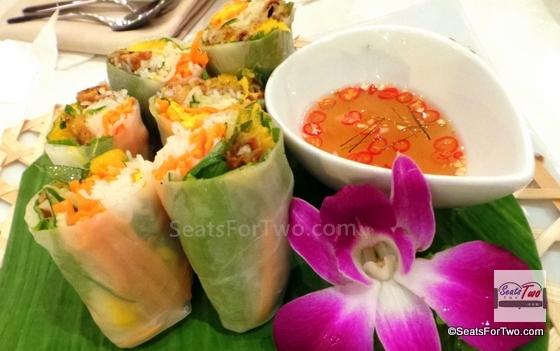 Seats For Two had an amazing afternoon over good food and coffee. 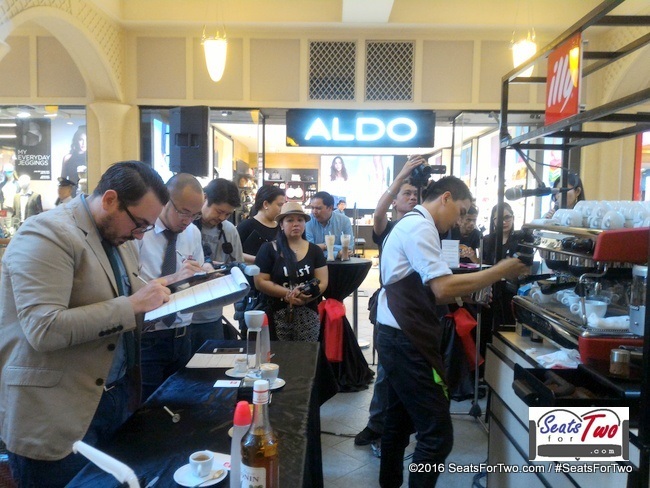 We would also like to congratulate Ronel America for winning the 2016 Espressamente illy Barista Competition!